As a child I was an avid reader. My local public library was a magical place that could transport me through time and into magical worlds that were far away from the small mining town in Nottinghamshire where I grew up. I read all of the C.S Lewis Narnia stories, and E. Nesbit’s The Railway Children was one of my favourites. However, even at such an early age, I knew the children in these books were not like me: they were posh children, and their class position was obvious even at seven years old. They seemed as distant and as alien as the period of time they were written in. Growing up in the 1970s, I was used to reading children’s literature that didn’t really relate to me, about lives that I had no understanding of, language and a rhythm of speech I had no connection to at all. Although I think the foreignness of those stories were an attraction: they allowed me travel. Yet, unsurprisingly, very few of these stories have been written down and told amongst other working-class people who we do not have direct contact with. As I am writing this, the BBC are showing yet another version of E.M. Forster’s Howard’s End, more stories about bourgeois life that few of us connect with. 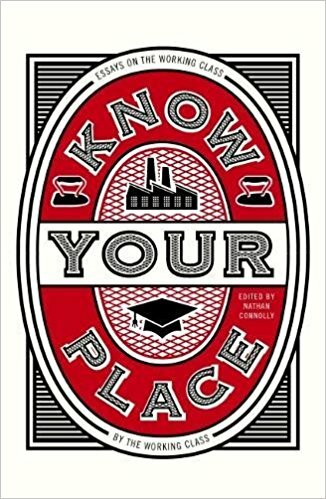 We might argue that our stories, our working-class stories, are seldom told because their keepers traditionally did not have the adequate skills to write them down and have them published (my granddad’s story of standing up for himself is being told in print now for the first time). However, many of our stories are seen as too harsh or coarse, too rough, too sentimental or just too working-class.